Commissioned by Victoria Minton, A’ Chorra-ghritheach (The Heron), is a setting of a portion of the poem of the same title by Sorley MacLean. The text is an early work for MacLean, and is the first in a long career of poetry in Gaelic. The portion of the poem used in this work compares the mind and life of a heron with those of the author. This comparison expresses dissatisfaction with the complications humans impose on their own emotional lives, especially in contrast with the simplicity of a heron’s. Musically, this comparison is supported in the work by alternating between two sonic sections; one representing the natural world of the heron, and the other the artificial world of the poet. 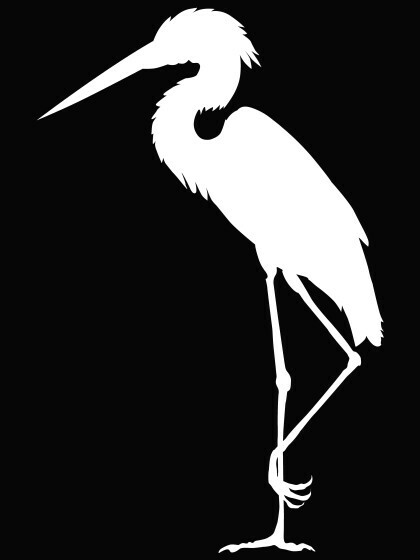 The first section is based both rhythmically and in pitch material on the call of the Grey Heron, a bird native to Scotland and likely the subject of MacLean’s poem. Using audio analysis software, the overtone content of a Grey Heron’s call was analyzed and an octatonic scale with an added F# was found in the lower partials. This scale makes up the pitch content of the first section. This first section is also dominated by a long-short rhythmic motive which is also present in a heron’s call. The second section is based on the pitch compliment of this scale and could be said to be its pitch opposite. The second section is rhythmically much more texturally oriented, with sustained tones and quick, repeated rhythmic figures filling out the texture. In addition to the Gaelic text and Scottish subject matter, the music also contains several other allusions to Scottish music, most notably in its use of syncopated rhythmic patterns and the “Scotch snap” a sixteenth, dotted-eighth pattern commonly found in traditional Scottish music. The composer wishes to thank Ken McIntosh and Rudy Ramsey for their help with the Gaelic text.